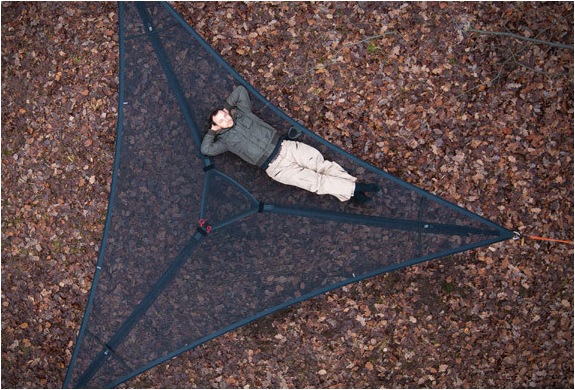 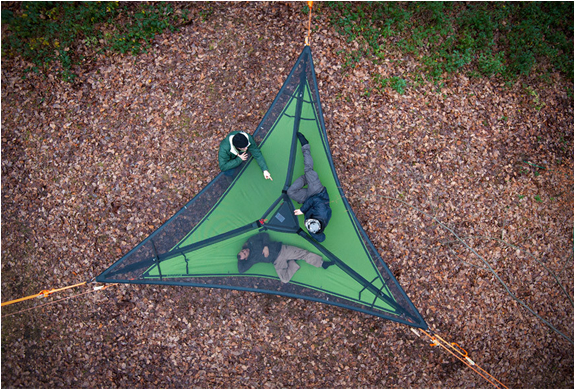 New from Tensile is the Trillium hammock, another glorious hanging den by the tree tent specialists. 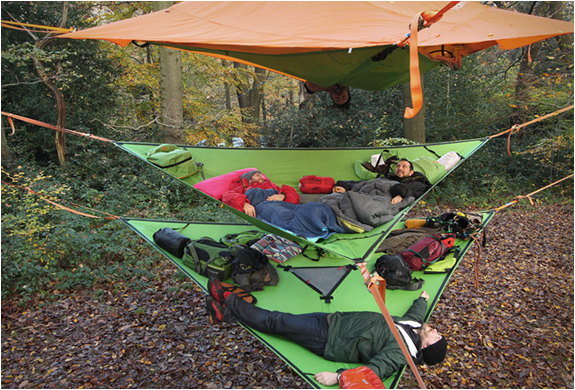 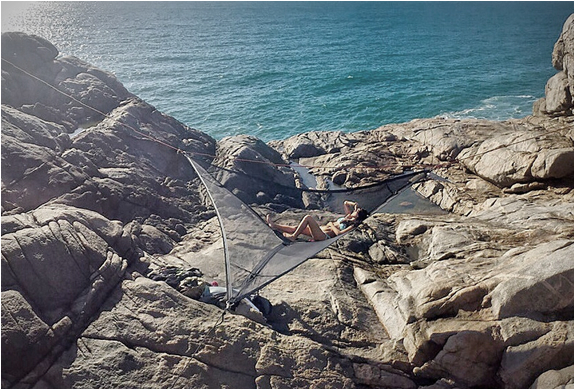 The unique triple hammock shares the same dangling disposition as the brand´s popular Stingray Tent, but is more portable, more versatile, and much cheaper. 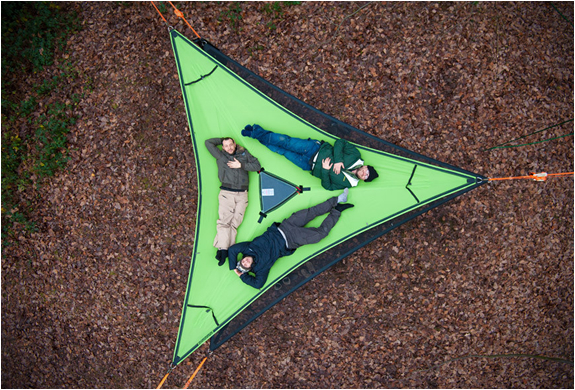 The Trillium includes 3 heavy duty ratchets and straps for an unlimited tree set-up configuration, and can be used to add sleeping space for additional numbers of fellow campers (can accommodate up to 3 grown men), or simply to expand the space of your tree tent for extra gear, shoes, dogs and wet stuff. 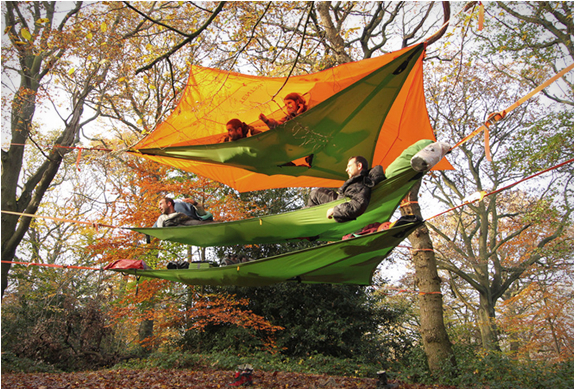 You can also stack several Trilliums under your tent to create a spectacular multifloor outdoor living environment.